If a showroom was a beverage, it would have to come across as a Sangria. Mixed with fruits and quality wine to compliment the taste, similarly, the importance of every element defines the quality of the overall atmosphere in a showroom. In a world where excellence is underappreciated, Ohmsound Showroom is one that thrives on perfection and will settle for nothing less. 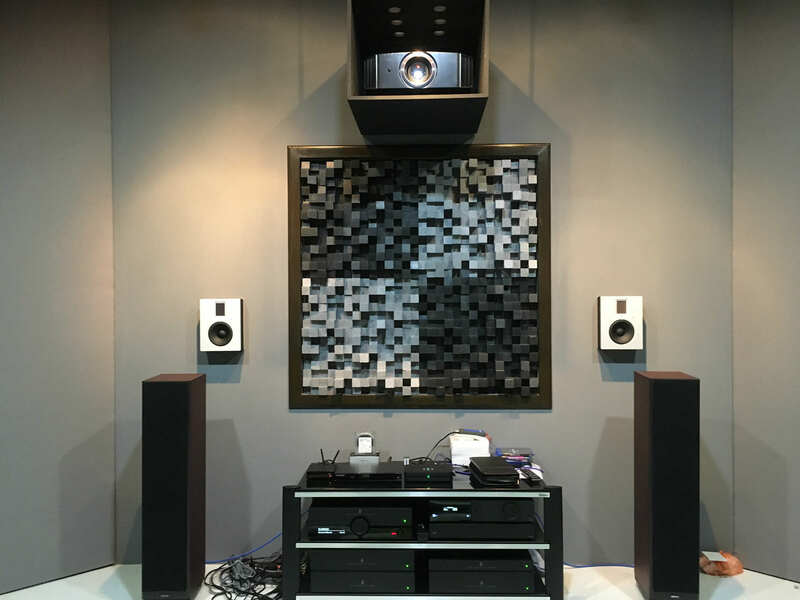 Situated within the Paya Ubi Industrial estate and away from the bustling city life, Ohmsound Showroom is the perfect spot for showcasing the Dolby Atmos setup using the premium Steinway Lyngdorf speakers. Experienced, gifted and full of passion, Amos Goh the sales representative of Steinway Lyngdorf decided to have one simple aim. “Create an unforgettable listening experience for clients”. With his years of expertise, Amos was looking to ensure the balance of the acoustics in the room and wanted an aesthetically pleasing look with the perfect ambience in a home concept to compliment his premium brand of speakers. 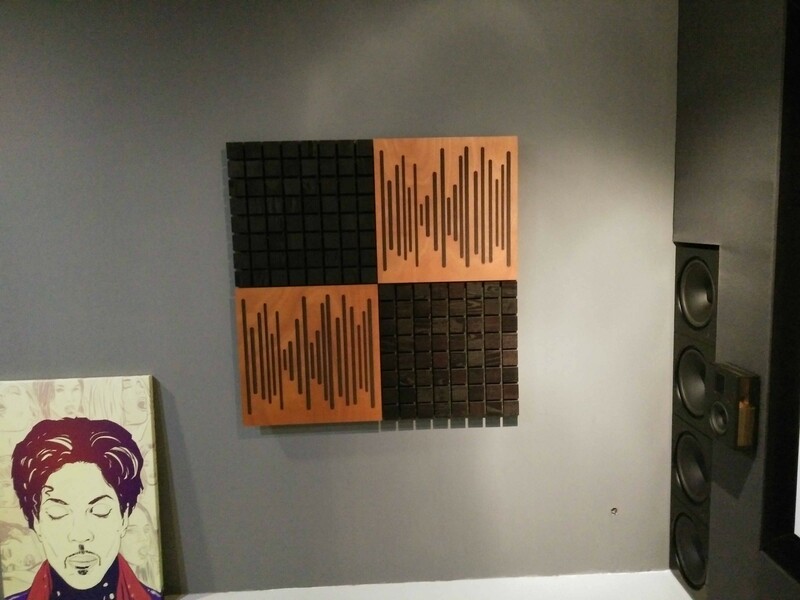 Soundzipper was hence summoned to add acoustic finesse to make his showroom exceptional! Acoustic consultant Kathryn Cheng led the project and paid close attention to detail when it came to the specifics of the project. Preliminary testing was done to map out the nature of the room so as to ensure that the solution proposed will have the best acoustics possible. The Reverb Time (RT) of 1 second was the main concern for Soundzipper and we had to carefully design and meticulously adopt solutions for the 28 square metre showroom matching the client’s specification as well. In order to reduce vibrations transmitted from the speakers, special insulation was given to the room walls and ceilings. Furthermore, if you ever are a client of Amos, try to spot the bass traps in the room because custom made bass traps were added in discrete locations. The addition of these bass traps was also installed in the corners of the room with a massive one behind the viewing screen. It was designed such that low frequencies could be reduced to give a balanced frequency response. Last but not least, very specific acoustic panels from Vicoustic were installed on the walls to give it a utilitarian, hedonic and aesthetic flair. At Soundzipper, we always believe in a plus 1 experience. As such, we finished it with a single rebate acoustic door so that little sound would escape the room and not cause any disturbances. Ohmsound Showroom indeed is a state-of-the-art studio showroom for all enthusiasts with a perfect concoction of acoustics and quality. All in all, the proposed solution gave an RT of 0.3 seconds which was well accepted by Amos.